Thanks to Emily Bell and VinePair for the tequila information. Happy National Margarita Day! So you know that our diatomaceous earth filter aid filters the world's best beers, wines, whiskeys, brandys, sakes and a host of other alcoholic beverages, right? What about the world's largest producer of tequila? Yep, bingo. DE filters tequila, too. It's a great day to celebrate this made-in-Mexico drink, and learn a little more about tequila and diatomaceous earth filtration! There’s plenty we think we know about tequila. That it always goes with lime and salt (nope). That the bottle should contain a worm (nope). That it mixes well with a variety of things and can be sipped, shaken, or even stirred (nope – oh wait, yes, yes on that one). But like other ubiquitous clear liquors out there, there’s still plenty we don’t know about tequila. And we don’t just mean how many shots of it we had last night. Tequila has a lot more heft, and history to it than most of us know. We treat whisk(e)y, be it bourbon or Scotch or, yeah, almost any whiskey, with kid gloves–like we’re not just drinking alcohol but the distilled heritage of a nation. Agave is not a cactus. Agave is not a cactus. Tequila has absolutely nothing to do with cacti. That is, unless you are sitting next to one while sipping on some joven. The agave plant is a desert succulent. Blue agave typically takes eight years to mature. Speaking of what agave isn’t, it isn’t easy to grow. You have to have the right desert conditions, and even then, most blue agave takes about eight years to mature. And that just gets you to harvest. If you have any desire to age your tequila, tack on some more time! The blue agave plant only has one life to give. It doesn’t help efficiency that blue agave is a one-time use plant. Once they’re finally ready to harvest, the agave plants have their piñas – or hearts – called that because they end up looking like pineapples – ripped out. Those are the parts that will be steamed, crushed, and fermented into tequila. Piñas are extremely heavy. Those piñas are incredibly heavy. They can weigh anywhere from 80 to a few hundred pounds (but, theoretically, they can get a bunch bigger). Tequila is legally required to be only 51% blue agave. Tequila is made from blue agave, but it does not have to be 100% agave. Many tequilas will advertise themselves as ‘100% Blue Agave,’ but the legal requirement is 51%. Distillers are allowed to fill out the rest with a neutral spirit made from cane sugar juice, creating what is known as a “mixto” tequila. Generally, no surprise, these are thought to be lower quality. Your tequila bottle should not have a worm in it. Tequila, FYI, will have absolutely no worms in it. The association with tequila and worms is (probably) based on the fact that maguey plants are often nibbled on by “gusano de maguey,” little larvae that, if not interrupted, would turn into a mariposa, or a kind of butterfly. When they are put into bottles of liquor as larvae, it’s mezcal, not tequila. So basically don’t drink tequila if there’s a worm in it. If the producer got that wrong, who knows what else is wrong in the bottle. Young tequila is really young. We drink a lot of young tequila. And the aging standards mean that’s pretty young: blanco/joven is just 0 to 2 months old; reposado is two months to 1 year, and añejo is 1 to 3 years. But there’s such a thing as “extra añejo,” taking tequila aging to another level of maturity (3 years or more). You can buy tequila that has been aged for over a decade. Three years might seem like a long aging time for tequila, but one of the oldest “extra añejos” currently for sale is actually 11 years old and will run you upwards of $1000. It’s made from 100% organic blue agave and aged in French oak. A wonderful (really, wonderful) gift for the obsessive tequila lover in your life? 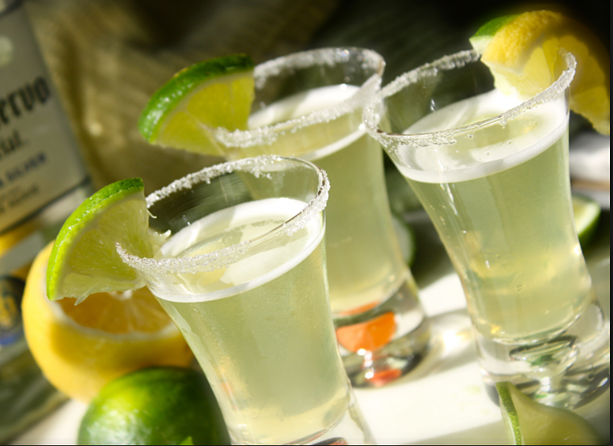 The name tequila carries legal weight around the globe. Similar to European Union products with protected names (e.g., Champagne & Prosciutto di Parma), tequila is protected as a Mexican designation of origin in dozens of countries. In the United States and Canada, that protection is written into NAFTA. So don’t try to make anything in your bathtub and call it tequila. The Tahona process is as crafty as it gets. Tequila can be as artisan as the most artisany crafty tiny spirit out there. Even if it’s made by a big producer. See, tequila is made by steaming and crushing those massive piñas. One way those piñas can be (and have been) crushed is the Tahona process–basically dragging a massive volcanic wheel over the steamed agave hearts. Traditionally, and in at least one place, still done by donkey. If use of a donkey isn’t artisan, we don’t know what is. So, Happy National Margarita Day. Celebrate with a nice aged anejo, or a margarita on the rocks!